The newly established Blaimer lab in the Department of Entomology and Plant Pathology at NC State University is seeking to fill a graduate student position (PhD or MSc, depending on prior experience) beginning in the Fall semester. 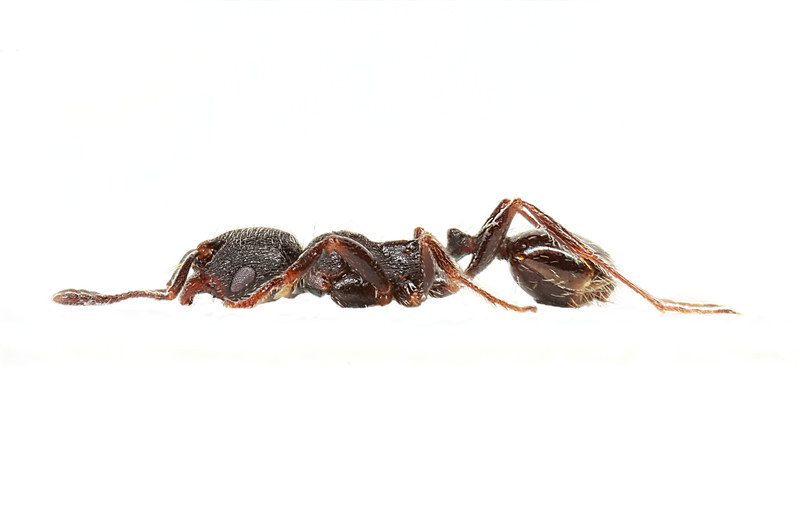 Our research group focuses on applying cutting-edge molecular technologies to address relevant questions in insect evolutionary biology, systematics and community ecology, mainly by studying ants and other Hymenoptera. We value collection-based research and actively conduct field surveys for ants and other insects, with a particular focus on canopy diversity. We are looking for a highly motivated student with a keen interest in evolutionary biology and entomology, and matching research interests to the above. Thesis projects will likely be tied into ongoing research in the lab, but specifics could be developed according to the student¢s interests. Potential projects, for example, could be centered around the evolution of ant community structure, both locally in North Carolina or within ongoing research in Madagascar, or could investigate color pattern evolution in large carpenter bees in the context of mimicry. Systematic, taxonomic, or other collection-based project components are further encouraged. Preference will be given to students interested in working on Hymenoptera, and particularly on ants. NC State University’s Entomology Department offers a highly-rated research environment and is situated in a vibrant and scientifically stimulating atmosphere in the Research Triangle, with both UNC and Duke University, as well as NESCENT and the North Carolina Museum of Sciences close by. Our NC State Insect Museum is a mid-size insect collection that provides state-of-the-art training opportunities in specimen-based research techniques and curation. Raleigh is a lively town with an inexpensive, yet high standard of living, and its surroundings offer numerous recreational activities. Interested students should contact me directly at bonnie_blaimer[at]ncsu.edu with a brief description of research interests and experience and a CV, preferably by January 31. Note that the departmental website is currently being redeveloped and information found online about the NCSU Entomology graduate program may not be up-to-date.